The Canadian Rockies are home to some of the most rugged terrain, pristine watersheds, and extensive habitat in the Americas, as well as storybook towns and lots of potential for exploring. 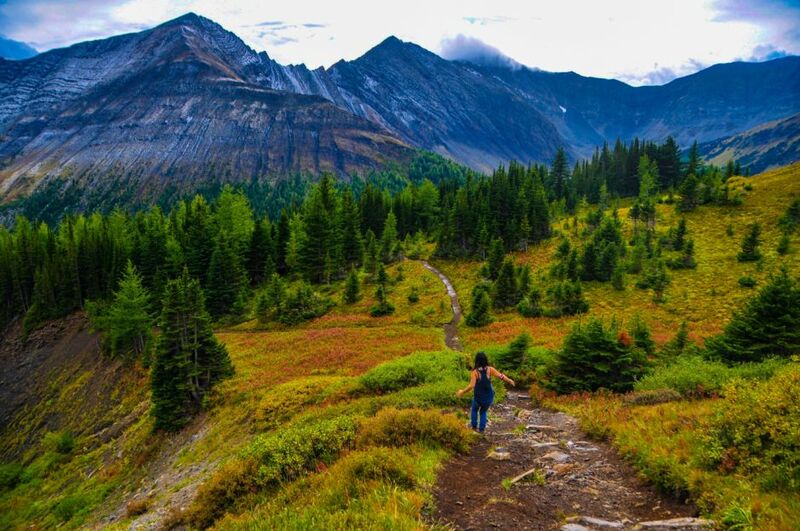 Here are 8 unique Canadian adventures to get you started planning. Ptarmigan Cirque is a glacial formation about a 1 km steep hike off Highway 40 in Kananaskis Country. Keep your eyes open for fossils of ancient sea creatures in the rock formations, to give you a take on how different this landscape used to be. This stretch of highway 40 is closed between December and June. Camping at the Kananaskis Lakes is at Peter Lougheed National Park. There are several campgrounds at both Kananaskis’ Upper and Lower Lakes. This is the perfect place to sit under the stars by a campfire, cooking your food with the haunting cries of the loon birds echoing across the lakes. Note: This is prime grizzly bear country and the proper bear safety precautions should always be followed. 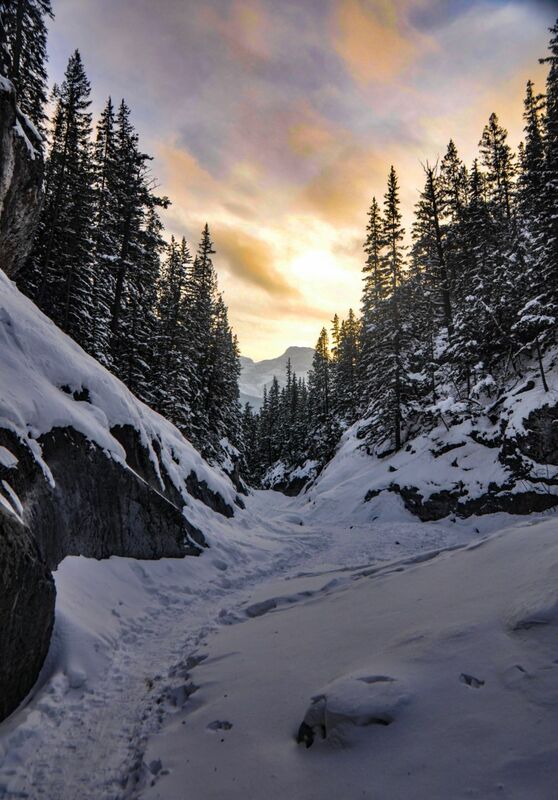 During the winter months, the free flowing fresh water freezes hard and makes new trails to explore through Grotto Canyon., which is just outside of Exshaw near Canmore. Follow one of the trails to a frozen waterfall seemingly suspended in animation. To add to the wonder, you can spot the faded remains of pictographs that some people believe were left by the Hopi people centuries ago during their migrations. Crampons are a must for walking on the ice. 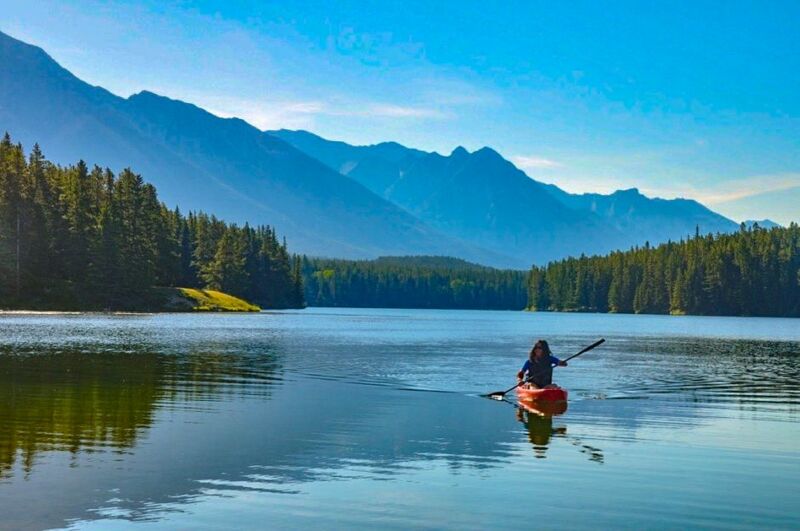 There is no better way of feeling in touch with the Canadian Landscape than paddling a kayak on a lake or stream. Lake Johnson is located just off the Minnewanka road outside of Banff. It is the perfect place to launch the kayak and enjoy the water. 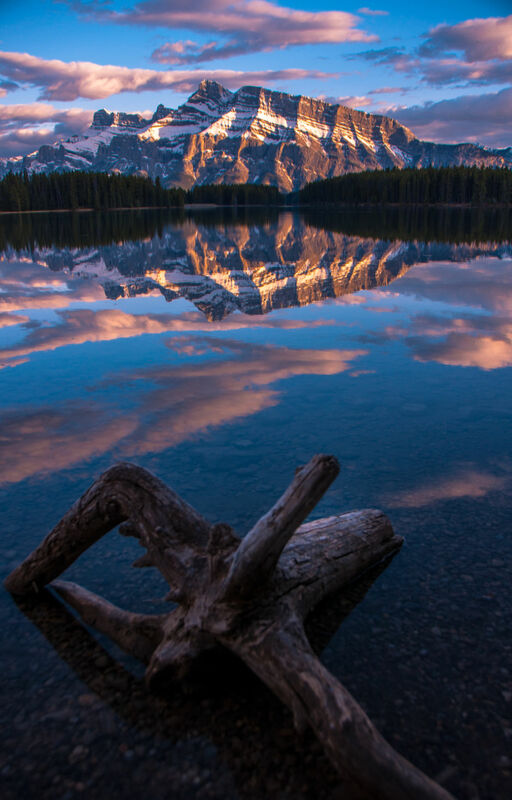 During sunrise, you can enjoy the reflections of Rundle mountain on the water or you may even spot some of Banff’s wildlife around the lake edge. Beauvais Lake is perfect for watching sunrise. The lake can be found at Beauvais Provincial Park, near Beaver Mines in southern Alberta. 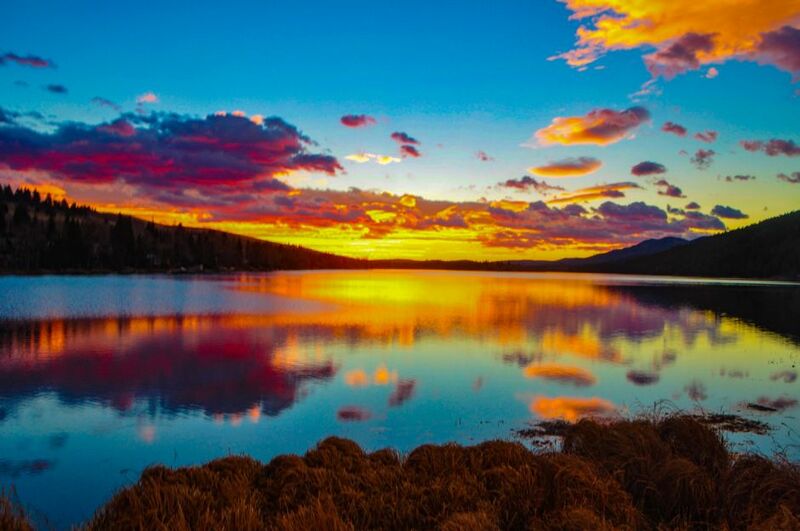 Take a short walk away from the campground to the lake's edge in the early morning and watch as a magnificent sunrise spreads across the horizon. There is limited camping available in the winter, but it can be worth it for spotting wildlife. Go equipped with the adequate gear tor the colder temperatures, and any wildlife you do encounter. 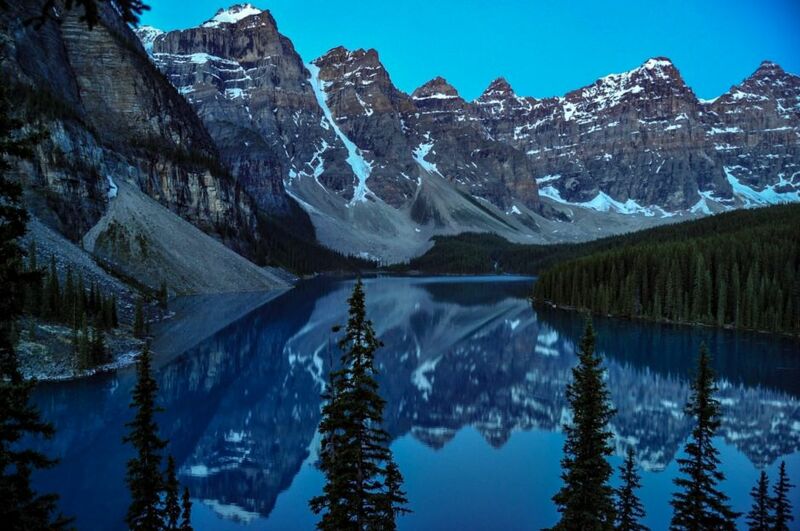 Moraine Lake is a short drive from Lake Louise. Since the access road is only open during the summer months. Moraine can get crowded during the day. Set an early alarm and enjoy the lake by yourself. Moraine Lake’s road normally closes in October and does not open to vehicles until late May or even early June, depending on conditions. Billy Carver’s lodge is a hidden piece of Canadian heritage tucked away in the woods by the side of Lake Johnson in Banff National Park. 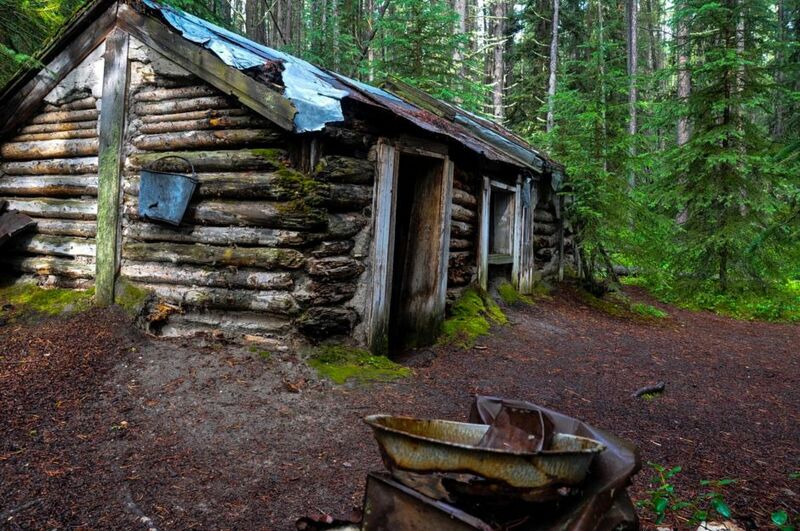 The cabin was built by an English hermit who went off the grid in 1910. He lived alone there, undisturbed for 27 years, until local teenagers discovered him in ill health. There are no signed trails leading to the cabin, and it can be hard to spot in amongst the thick foliage. Preparation, research, and sharp eyes will be required to find this little hidden secret. Two Jack Lake has amazing reflections. This lake is found on the Lake Minnewanka Loop Road. 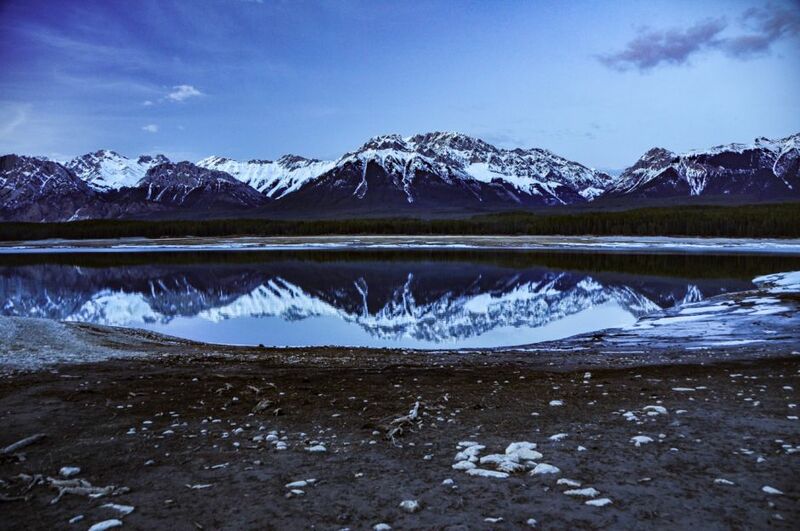 Whether you go there in the early hours or the late hours, you'll get to see the sun-lit Rundle Mountains reflecting off the lake. This is another perfect place to bring the kayak. 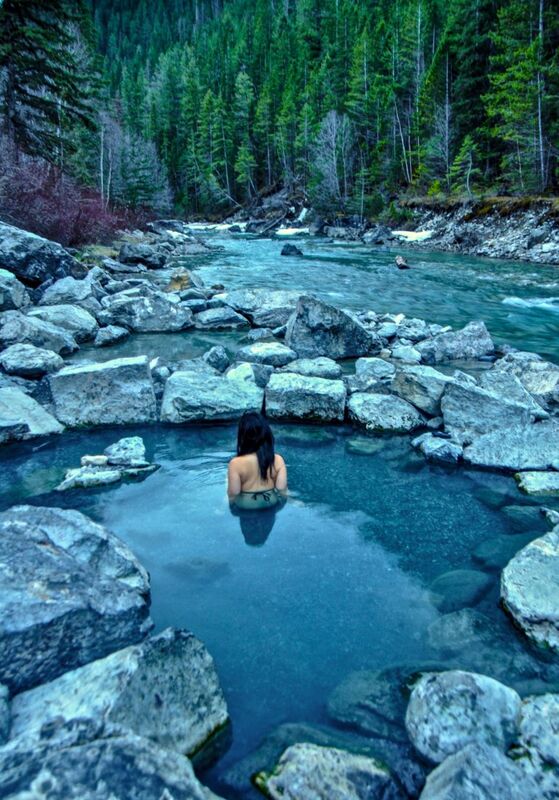 It is pure joy to take a dip in natural hot springs surrounded by Canada’s beautiful alpine scenery - in British Columbia’s Whiteswan Lake Provincial Park you can find just that place. Turn off Highway 95 onto the challenging Whiteswan Forestry Service Road. But the reward is a relaxing experience with amazing scenery. There are changing rooms off the road which you can use before you descend down the valley to the springs.